At this writing, the Site Build It Scam Google bomb has been monopolizing search engine results pages for almost three years. With all the recent algorithmic tweaks, it is clear that the fix for the Google bomb trash bin is low on the priority scale. Google has bigger fish to fry. In the real world of corporate politics, shareholder handholding, and end-of-year profit reports, Google must focus on what really matters, and Site Build It Scam isn't it. The annals of 2011 history will soon be sealed and Google is bound and determined to write its final paragraphs. That way, it can begin 2012 with strength, take advantage of the poor economy (and early tax returns), and secure a fresh influx of shareholders for the new year's adventures. It must feel good to be Google. One of the fastest growing enterprises on a financially devastated planet with plenty of profits to spare, the Googleplex must be abuzz with excitement. Shareholders must be thrilled. It's nice to have your day in the sun. And it's good to have power. The power to encroach upon just about every industry known to man, steamrolling businesses like they were matchboxes, or toys, or whatever small object you wish to put in front of it. The Site Build It Scam situation is small beans compared to all that corporate macro drama. It's good to see profits, too. 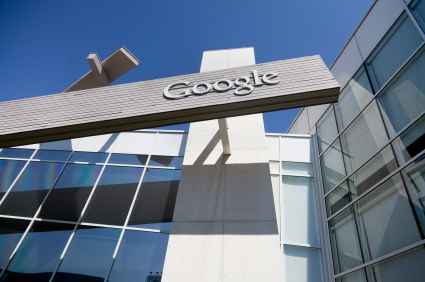 Google needs the cash infusion to fend off all the impending lawsuits it's about to encounter. If you've heard the news lately, the number of Google mentions are getting more and more frequent and they're no longer covering the story about the fantastic feats of the Wonderboys and their Wondercompany. The awestruck gazes have narrowed to skeptical scrutiny as the company finds itself under fire for questionable practices in just about everything from privacy violations to unfair competition. That Google chooses to make all that money without using it to better the common good, for real. A lot of people could use the boost. Sure, Google's got the best public relations and they work hard to make everyone believe that the Google Guys are the good guys. Most people will believe that, until something like the Site Build It Scam Google bomb happens to them. Sure, Google helps people. It works very hard to help advertisers by pulling the rug out from underneath countless publishers with only scant reasons as to why. And with little or no instructions on what to do about it. But helping advertisers is the least it can do. After all, they're the ones who pay! It's good that the PR people are working so hard. Google really needs the help these days. Good thing it's not got its own Site Build It Scam Googlebomb situation. On the other hand, it doesn't need a Google bomb to ruin its reputation. It's doing an excellent job all on its own.